The Holland Code/Inventory is one of the most helpful career interest tests/tools available. It includes six interest themes described by John Holland and the Strong Interest Inventory. 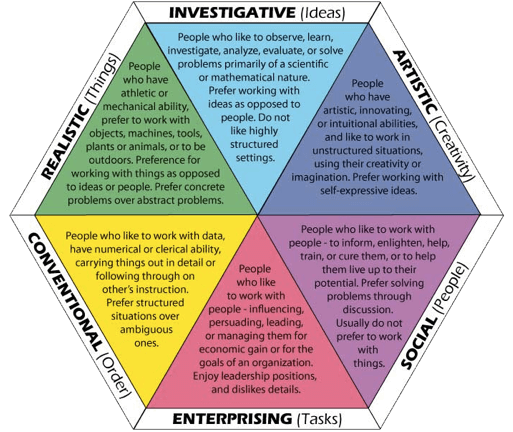 These include the Realistic (R), Investigative (I), Artistic (A), Social (S), Enterprising (E), and Conventional (C) domains, or “RIASEC” for short. After identifying your preferred interest domains, these letters can be combined in a way similar to the Myers-Briggs personality types to form a multi-letter “Holland Code” (e.g., AIS, SIA, IRA). This can help individuals identify their best career match. Individuals with Realistic interests enjoy physical, hands-on work, often involving machines (e.g., repairing vehicles, tinkering with computers, construction). They may take up careers in technology, carpentry, and other trades. They are often visual or kinesthetic learners with strong spatial-temporal reasoning abilities. They commonly do well with reading schematic charts and diagrams, as well as envisioning and mentally rotating three-dimensional objects. Holland Realistics often enjoy working with “things” more than people. It is therefore unsurprising that this interest domain is correlated with a preference for Thinking over Feeling. Sensors and Perceivers are also somewhat more inclined toward Realistic work than Intuitives or Judgers. 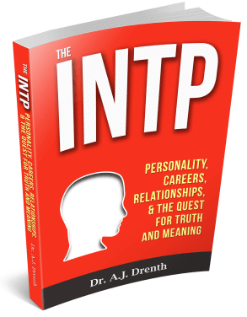 With regard to the Myers-Briggs functions, Extraverted Sensing (Se) and Introverted Thinking (Ti) are the functions most aligned with Realistic work, making ESTPs and ISTPs the top personality types for this domain. The Investigative Holland domain incorporates analytic, scientific, and academic interests. Investigative types enjoy working with ideas, theories, and facts. They generally perform well on the mathematics portion of aptitude tests. As we saw in the Realistic domain, Thinkers outnumber Feelers when it comes to Investigative interests. Those interested in investigating “things” will generally have a Holland/ RIASEC code of IR (Investigative-Realistic). They may study mathematics, the physical sciences, technology, engineering, computer science, etc. Those with more “life” or people-oriented investigative interests will have a Holland/ RIASEC code of IS, IA (or ISA, IAS). They may shy away from the hard sciences (e.g., physics, chemistry, etc.) in favor of life (e.g., biology), health, or social sciences (history, economics, psychology, sociology, geography, anthropology, political science, etc.). Those with IA interests are often intrigued by psychological or sociocultural issues and commonly study the social sciences, philosophy, critical theory, theology, or take up non-fiction writing. To some extent, Investigatives also tend to prefer Myers-Briggs Intuition over Sensing. NTJ types are often better suited for formal academic or scientific work than NTP types are. This can be understood according to the differences between Extraverted Thinking (Te) and Introverted Thinking (Ti). 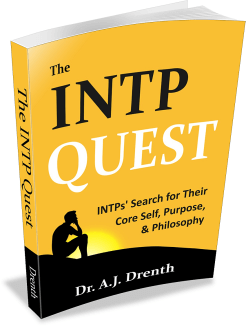 NTP types often prefer more independent and less formal modes of investigation (see this INTP careers page for examples). They are generally better suited to function as critics or science writers than professional scientists. As we’ve seen, Ti can also be associated with Realistic interests, since it seems to involve more fluid than crystallized intelligence. In concert with Investigatives, those with Holland Artistic interests often have an intellectual or cultural orientation. They generally excel on the verbal portion of aptitude tests, while displaying unconventional and careers. Many Artistic careers such as painting, dancing, sculpting, and design entail some Realistic elements, earning them a Holland/RIASEC code of AR. Artistic-Investigatives (AI) may function as writers or academics in the humanities. Those with an AS code may enjoy teaching art, music, literature, or languages. The Artistic domain strongly correlates with Myers-Briggs Intuition and Feeling, and to a lesser extent, with Perceiving. Intuitive Artistics are at their best when working with creative ideas, such as in writing or poetry, whereas Artistic Sensing types excel when it comes to concrete, sensory work (Se). Individuals in the Social interest domain enjoy working with people. 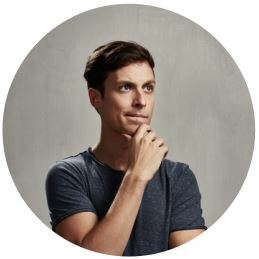 This domain is often conceived as the conceptual opposite of the Realistic domain, although some individuals may enjoy working with both people and things. Social interests are common among teachers, healthcare workers, clergy, trainers, and caretakers, to name a few. 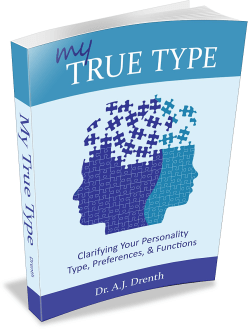 The Social domain relates to preferences for Myers-Briggs Extraversion and Feeling. 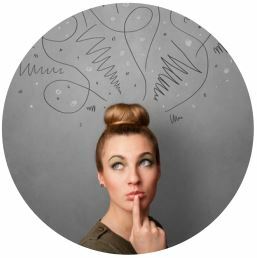 Intuitive Socials often have a Holland/ RIASEC code of SA and may enjoy careers such counseling (SAI), psychology (SIA), ministry (SA), or various types of non-profit work. Sensing Socials can be well-suited for healthcare (SRI) or childcare (SR). The Holland Enterprising domain entails the promotion of products, ideas, or services. Such individuals tend to be persuasive, assertive, and outgoing. Typical Enterprising careers include sales and marketing, business and management, politics, journalism, and stock trading. Enterprising individuals often prefer Myers-Briggs Extraversion. Enterprising types with Extraverted Intuition (Ne) are often drawn to entrepreneurship, journalism, and marketing, thus showing some overlap with the Artistic domain. Those with Extraverted Thinking (Te) are often drawn to upper-level leadership and management. ESTPs or ESFPs may fill any number of roles in the business world. Individuals with Conventional interests enjoy administrative work. They are organized, detail-oriented, and do well with manipulating data. Examples of Conventional careers include accounting, filing, bookkeeping, secretarial and administrative work, banking, proofreading, data entry, and payroll. Those in this Holland domain often prefer Myers-Briggs Sensing, Thinking, and/or Judging. This domain can also be linked with the Introverted Sensing (Si) and Extraverted Thinking (Te) functions.